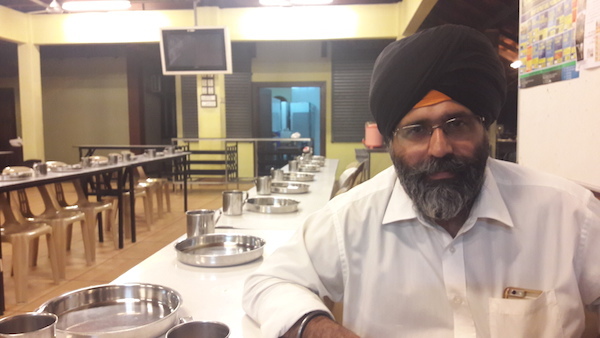 Aphtar Singh has served a two-year term as head of the gurdwara management committee (GMC) in Kuala Lumpur. When it meets to elect a new president on Sunday (20 March 2016), the 40-year old bank officer is not seeking re-election. Gurdwara Sahib Kampung Pandan Settlement is moving into high gear to build its new building. Hence, Aphtar plans to make way to allow someone with the necessary experience to step in. “I know my capacity. I want to see the gurdwara complex built. I believe the in-coming person will have the wisdom, time and the capacity to do the job,” he tells Asia Samachar. The gurdwara, located in the heart in the heart of Kuala Lumpur from where you have a clear view of the Petronas Twin Towers, is preparing to launch its building project that has been on the drawing board for some years now. The gurdwara is located a mere two kilometres from Wadda Gurdwara Sahib Kampung Pandan and about 10km from Gurdwara Sahib Sungai Besi. It is understood that there are at least two potential candidates for the president post. One of them is Jasbir Singh (Jessy) who was the GMC president for 10 years between 2003 and 2013. The other potential candidate is Major (Rt) Joginder Singh who was elected in April 2015 to chair the gurdwara’s building fund. The gurdwara had paid RM400,000 to purchase a piece of land adjoining its present location. However, it may not be part of the new complex as it is designated for residential use. Is there a need for two Gurdwaras within two km distance? Are there sucficient number of Sikhs to justify redevopment of the existing facilities especially when these may be available nearby? It is hoped that wisdom will prevail before funds are committed for the redevelopmet project. I am sure there are other ways to benefit the community such as assistance for education, health, economy and needy to name a few which the new Committee can consider. CHANGE LF MINDSET AND THINKING OUTSIDE THE BOX IS NECESSARY.